Crowdfunding is becoming an increasingly common method of fundraising, it’s time to spread the word about it! So what is crowdfunding? It’s a type of fundraising which usually takes place through the internet on secure websites. It allows for citizens (anywhere in the world) to donate whatever amount they would like if they like the project. There are many examples of projects that have been fully sponsored by this type of fundraising. Gateway Green, a public works project, fully funded a $100,000 project through crowdfunding. And, Michigan State University raised over $15,000 for its Extreme Makeover: Sparty Edition crowdfunding initiative. Crowdfunding is a great way to start fundraising for a new gymnasium floor for your basketball, volleyball, and other athletes. How do I know when it’s a good project? So, you have a project in mind, but is it the right one? It’s important to pick a project that resonates with people – those people are going to be the ones that push your project to the next level and help it become a reality. Crowdfunding makes it easier for people to market their passions and gain a following. A new gymnasium floor for a high school basketball team, for example, not only benefits the school, but the students playing on it. Parents, community members, and students have a reason to back a new floor that could benefit everyone. For a funding goal, start small. These passionate people want to see how they are contributing, and from then on, your crowdfunding can grow. How do I choose a crowdfunding site? 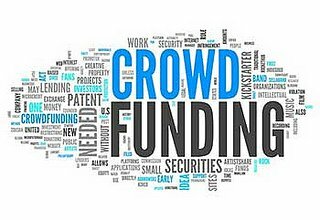 There are so many crowdfunding websites, how do you know which one to use?Some sites are tailored to one type of project or another. Kickstarter, Indiegogo, and Crowdfunder are all well-known crowdfunding sites. RallyMe, NLAB, and Sportyfunder are a few sites that are built to support the funding of athletes, teams, or other sports initiatives, like a new gymnasium floor. Does your project fit into the site requirements? Does the site charge a fee? Is the fee dependent on your project’s success? Will you still receive the donations if your goal is not met? What other tools does the site offer to help promote your project? What do I do once it’s on a crowdfunding site? Once the site is up, it’s like any other fundraising campaign: promote and spread it! Use word of mouth, social media, local media, press releases, and get the people close to it pumped about it. It is like other fundraising campaigns – and it may fail in reaching the goal in the allotted time. But, don’t let that discourage you. It could be your best way in finding out what your supporters really want and help future initiatives. You won’t know until you start; so, go out there and try! For more in-depth information, check out Mass Appeal in Athletic Business. Horner Flooring has an exciting new partnership! We will be partnering with the Naismith Memorial Basketball Hall of Fame and the Metro Atlantic Athletic Conference. In this 5-year agreement, we will provide the MAAC and the Hall of Fame with a Pro-King system, which may be used at several events. MAAC Commissioner, Rich Ensor, has stated, “Presenting the MAAC and sponsor marks on a playing floor of this quality is tremendous. The joint venture also allows the league’s student-athletes to compete on the highest quality surface…” Horner Flooring is proud to be recognized as one of the highest quality surfaces and will continue to uphold our standards of quality. How does John L. Doleva, president and CEO of the Naismith Hall of Fame, feel about the partnership? He says, “We are extremely excited and honored to be partnering with Horner Flooring and the MAAC on this new project”. Everyone’s excitement will ensure a good good experience for all partners and the athletes who will be playing on Horner’s Pro-King floors. Also as a part of this deal, a Horner branded scholarship will be offered by the Hall of Fame for a student who has demonstrated great academic and athletic accomplishments. To read more about this exciting new partnership, visit maacsports.com. 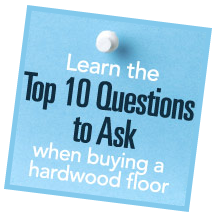 To find out more about the Horner Pro-King floor, visit our Pro-King webpage. After a lot of guessing, the complete rosters for the 2014 NBA All-Star game have been released!